So many variations you could make on this recipe! Makes me want to go home and bake. 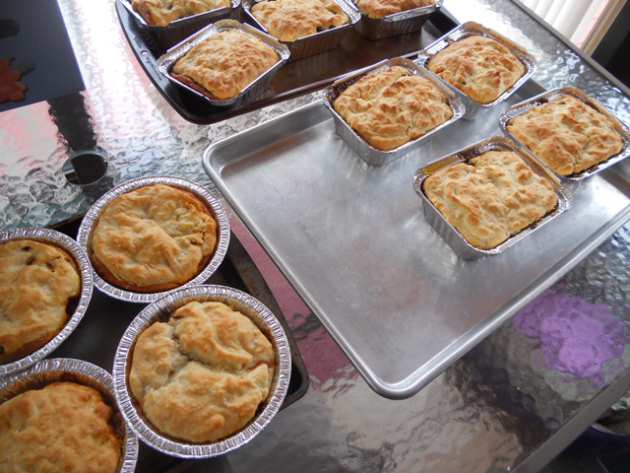 Today my mom and I made three varieties of meat pies – in all we made 26. Some were eaten freshly baked for dinner, and the rest were wrapped and packed away in the freezer for future meals. Ours feature a Grands biscuit bottom and a Bisquick top. Just a bit oâ€™the ugly.